Tag Archives for " 92591 "
Short Sale Bonus! For a Temecula Short Sale. It’s about time! I am getting paid a bonus to complete a short sale.I just submitted my clients short sale package two days ago and just received the email below from Wells Fargo.They also called and told me my approval would be to me in 3 days! 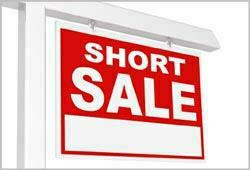 Wow that is the fastest Short Sale yet! Please reference the seller’s first name, last name, and property address on any faxes, emails, and phone calls. I am confident you will find this process to be a positive, results-oriented experience and I look forward to working closely with you! A $1,000 QUICK CLOSE BONUS IS CURRENTLY BEING OFFERED TO THE LISTING AGENT WHO BRINGS AN ACCEPTABLE OFFER TO CLOSE AND FUND BY 2/26/10 – OFFER MUST BE BANK APPROVED SHORT SALE.